18kt white gold, milgrain carved wedding ring. 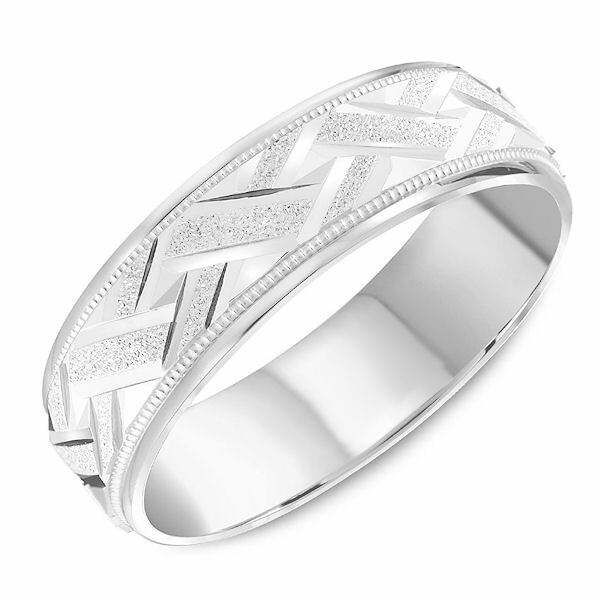 The ring has a mix of a sandblast and polished finish on the white gold with the yellow gold having a polished finish. The ring is 6.0 mm wide and about 1.65 mm thick. Different finishes are available. Please select the type of finish.